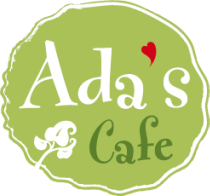 Ada's Cafe provides customized, high-end, gourmet catering for a variety of events — office lunches, community gatherings, cocktail parties, memorials, and weddings. We are committed to providing you with the finest food, and can customize our menus to accommodate any dietary restrictions. We source linens, china, cutlery, and glassware from A1 Rentals in Redwood City, and beautiful flowers from La Lavande in Belmont. Please fill out the following form and we will get in touch within 3-5 business days. We'll discuss the size of your party, your menu/dietary preference, budget and logistics.